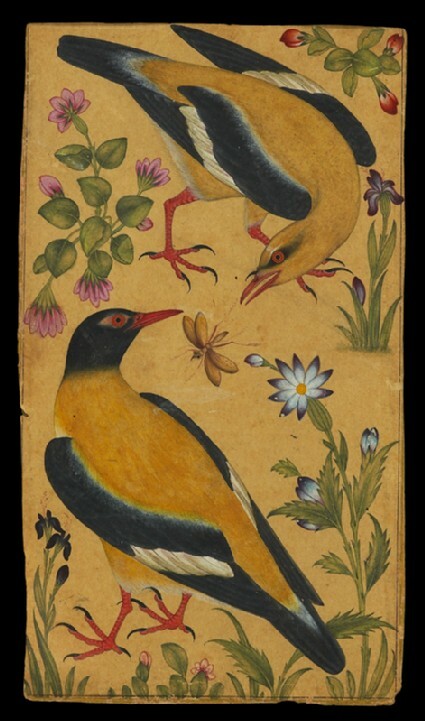 The early Mughal rulers took a keen interest in the flora and fauna of their new empire. 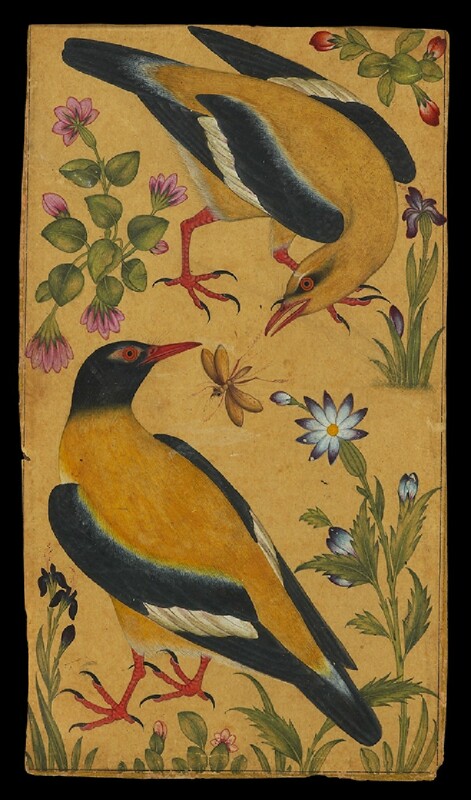 This composition of orioles among flowering plants, with one bird about to seize an insect, is closely related to European botanical and natural history studies which had begun to reach the Mughal court by the late 16th century. The upper bird is a male Indian Golden Oriole (Oriolus kundoo), the lower bird a male Black-hooded Oriole (Oriolus xanthornus).